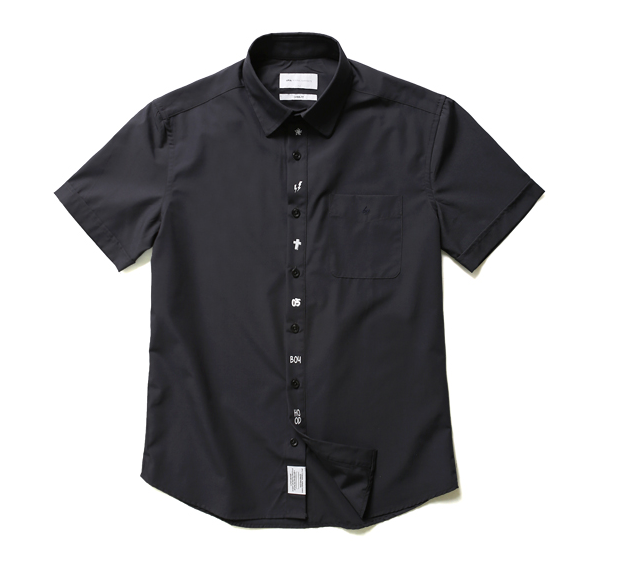 Luhan wears Liful BOYHOOD SS Shirt in Navy, ₩78,000. 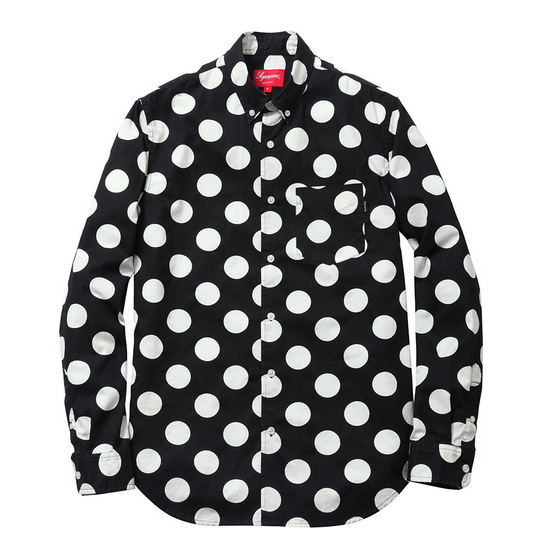 Chanyeol wears a SUPREME Big Dot Shirt from the 2013 F/W Collection which is sold out just about everywhere. 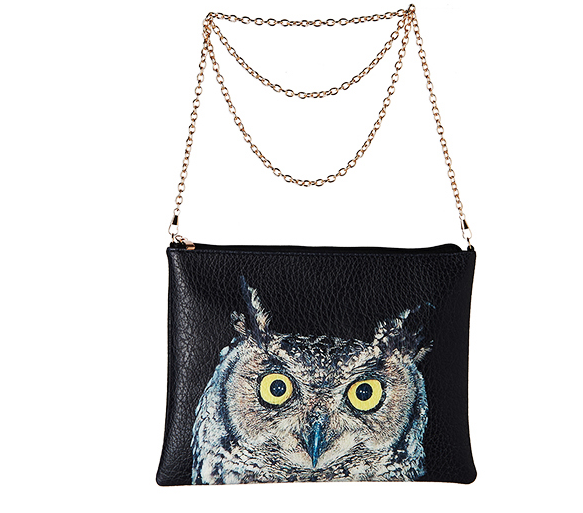 He also poses with Chen’s Wild Owl clutch from Eight Seconds which is priced at ₩29,900 and is unfortunately sold out as well. 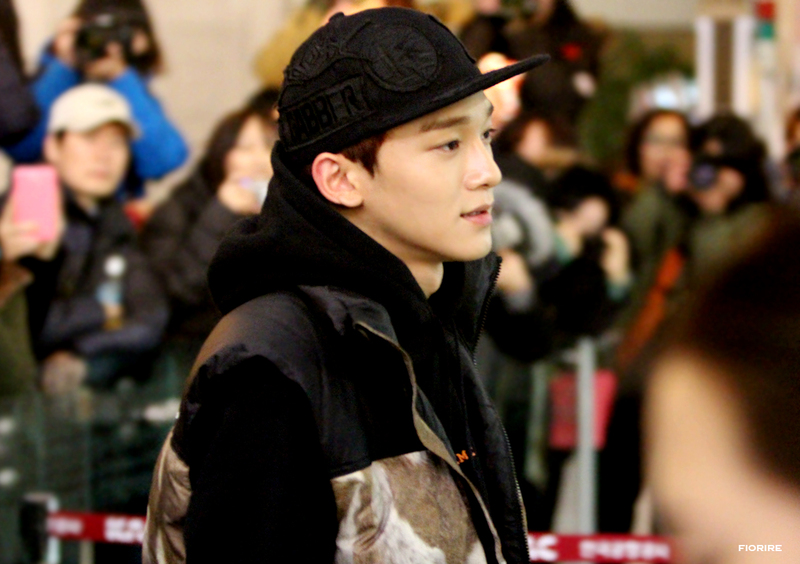 EXO-M’s Chen. 131222 김포공항 출국. 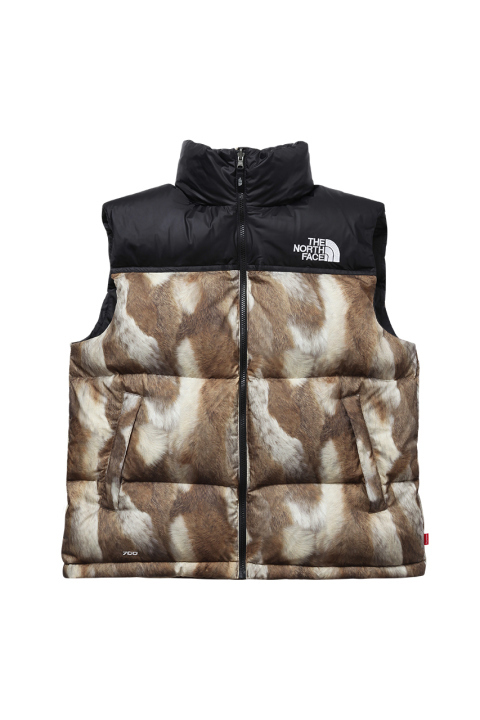 Wearing Supreme x North Face Fur Print Nuptse Vest in Brown, $504. 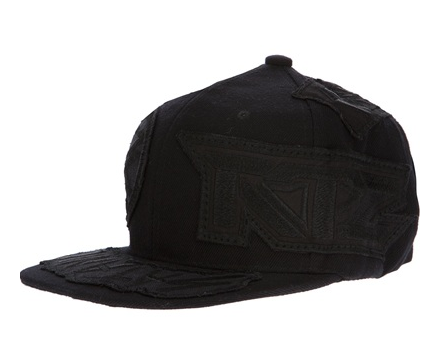 Wearing KTZ Solid Embro Patch Cap, $125, S/O. 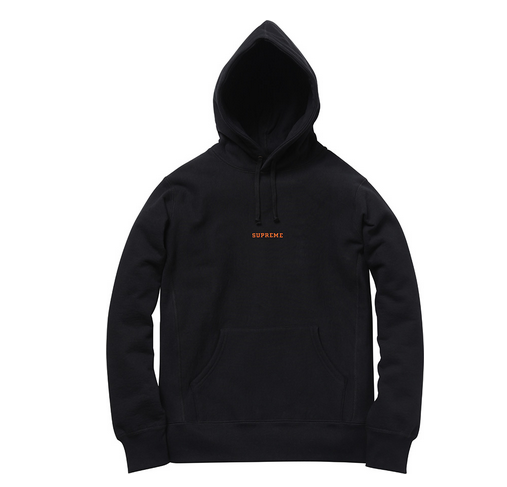 Wearing Supreme Mini Harvard Hoodie, $175 S/O. 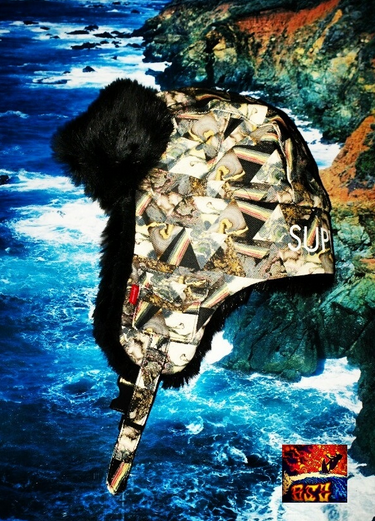 Wearing Supreme X Liberty Thorgerson Trooper in Black, $129.99. 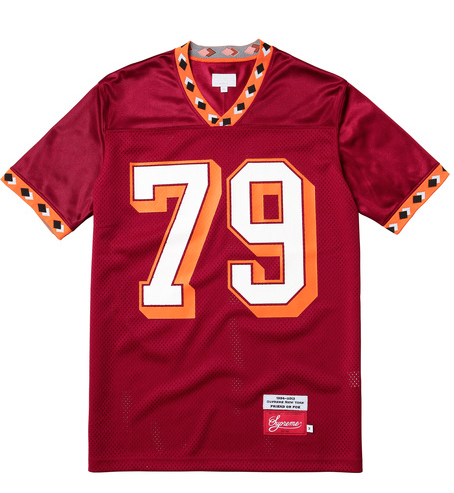 Wearing Supreme Diamond Rib Football Jersey in Burgundy, £122. 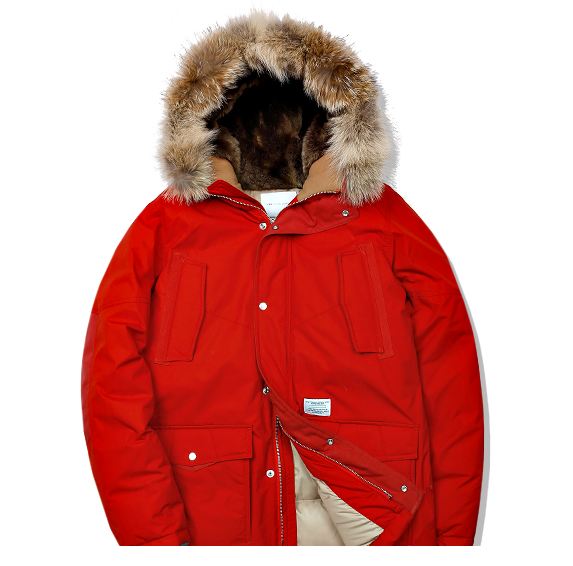 Wearing Liful SUMMIT Down Parka in Scarlet, ₩438, 000. 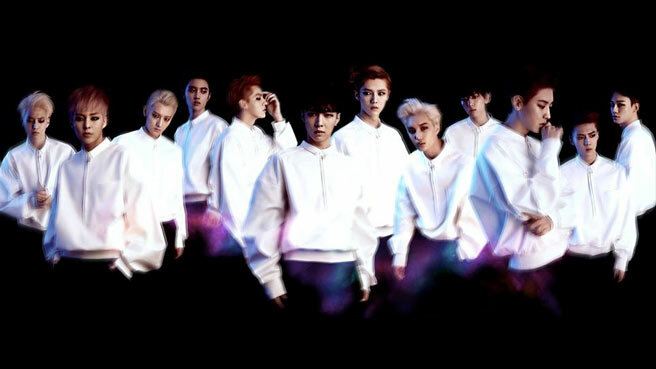 Maybe someone needs to get EXO a new stylist…or more sponsorships lol. Finally, finally, I have time to sit myself down and do a proper STYLE RANT post. I have been wanting to do this for months now but now that school is officially out of the way for a few weeks, I figured its time to do so. As everyone knows, its winter in the Northern Hemisphere which means that South Korea is experiencing winter right now. And THAT means boys in sweaters and coats, yummmm. Winter fashion is somthing I look forward to all year because I live in the tropical and sunny Singapore and the closest we come to winter is torrential rain during monsoon season. Since coats and knits are hardly the best things to wear here I shall satisfy myself with browsing through press and fan taken photos as well as online shops. I don’t know about you but I absolutely love knit sweaters. The knit makes the wearer look more slender and it basically fits just about every body type. They’re not seen much on kpop though because cable knits are used mainly when performers have a genteel concept such as with ballad songs which there aren’t alot of in winter. Kpop artists usually go for christmas patterned sweaters such as the one I featured on Luhan and Saint Laurent a few posts back. 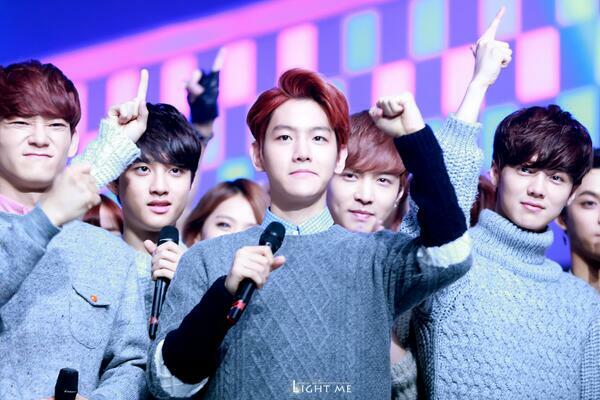 The only people I know (or care about) wearing knits on stage are the EXO members who are currently promoting Miracles in December. They also received first place twice for that song, so congrats boys! EXO opt for a monotonous color scheme to fit in with the mellow and soothing theme of their song but why shouldn’t you wear other colors right? 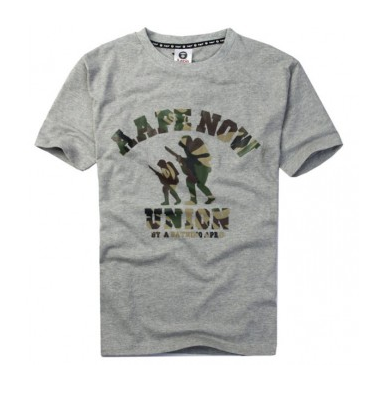 Here are some other jumpers from several Korean brands that I personally adore. 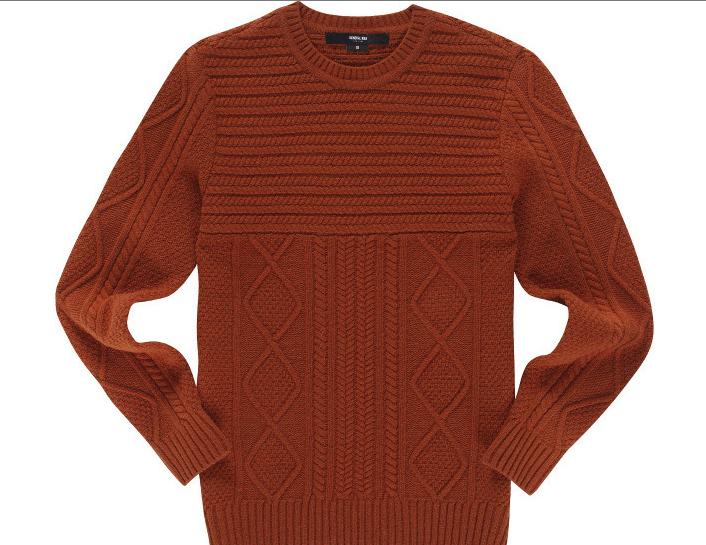 General Idea 램스울 Blend Cable Knit, ₩296, 000. 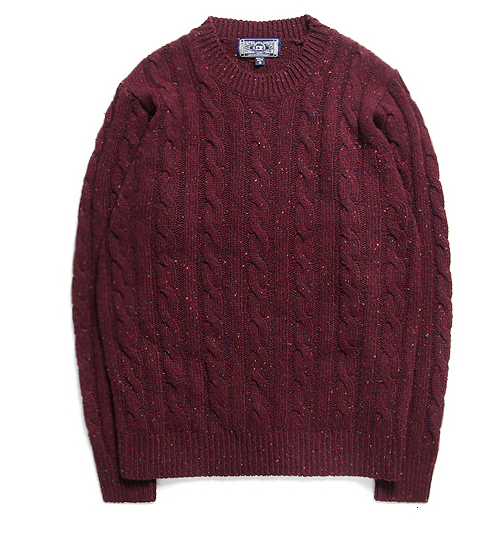 MODIFIED M#0266 Cable Knit in Burgundy, ₩63, 000. 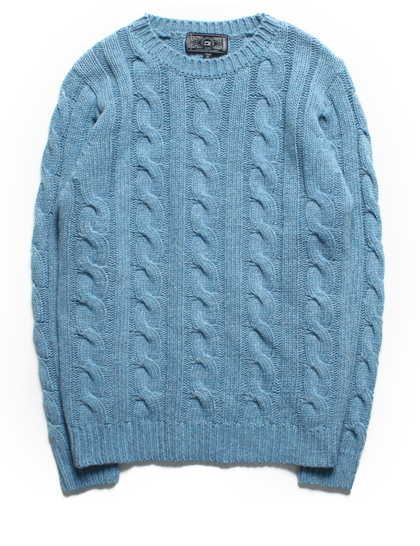 MODIFIED M#0239 Lambswool Cable Knit in Sky Blue, ₩63, 000. 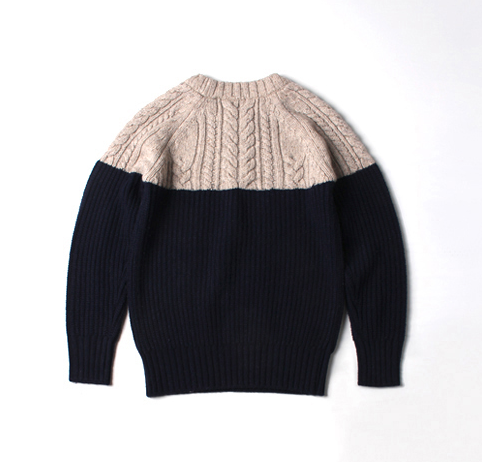 Liful Stripe Cable Knit Sweater in Ivory and Navy, ₩98, 000. 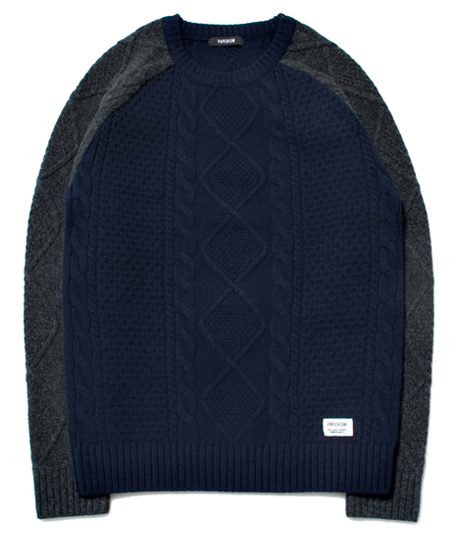 Lomort Polar Heavy Sweater in Navy, ₩64, 000. 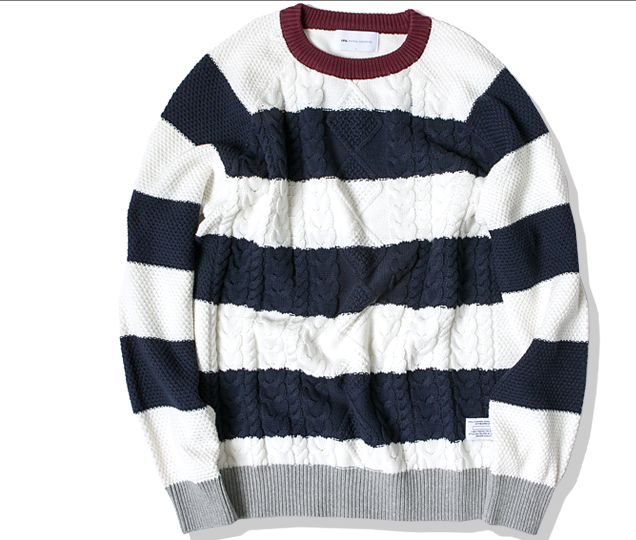 Paperism Colorblock Fisherman Knit, ₩86, 000. With the exception of Liful which has been worn by numerous korean stars such as EXO, none of these brands are particularly well-known so I hope that you check these brands out! Out of all these sweaters, my favourites have to be the Lomort one and the MODIFIED Sky Blue one. The oatmeal and navy go so well together for the Lomort sweater and its perfect for overly skinny guys who want to look abit more manly coughkyungsoocough and the sky blue is such a beautiful color, MODIFIED did a good job picking it. EXO-M’s Chen. 130906 뮤직뱅크 출근. Its hard for me to maintain my transparency when it comes to one of my favourite boys in the k-pop world: Lee Junho. This boy is absolutely gorgeous and the best part is, he has one of the best dressing styles in the whole of k-pop hands down. 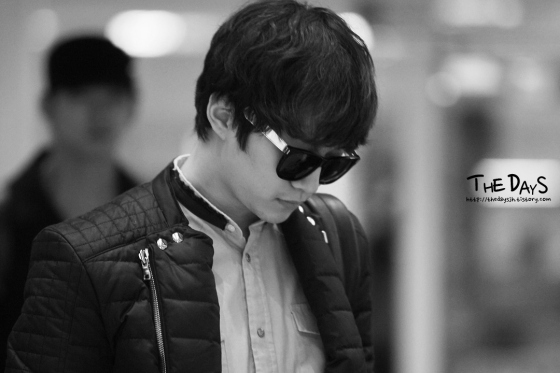 I swear, I have never ever seen one bad airport picture of Lee Junho ugh this boy is so perfect. I have seen countless photos of Junho’s airport and red-carpet photos and I can safely say this is one of Junho’s staples: Sunglasses. 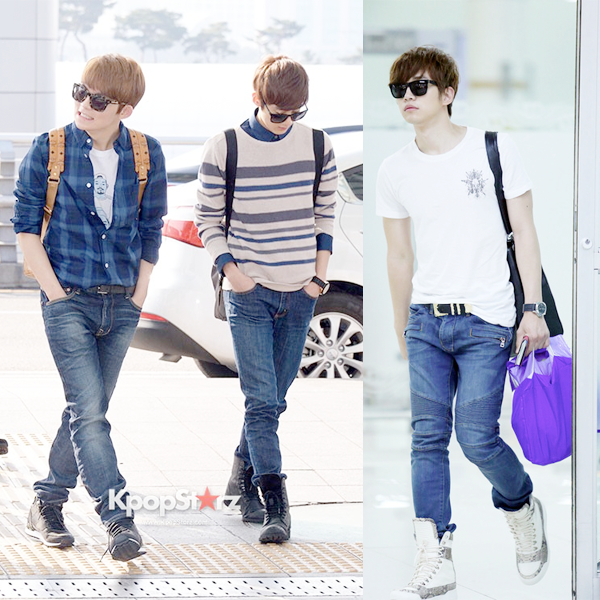 Most of Junho’s airport fashion photos would have him wearing glasses, as you can see below. 2pm’s Junho. 131014 김포공항 Departure to Japan. Bonus!! 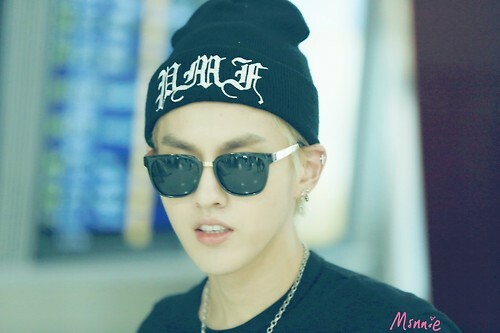 EXO-M’s Kris. 130909 KLIA airport departing to Vancouver, transit at HK. Wearing Super People Black & Gold Sunglasses, $249. If you have a face shape similar to Junho and if your eyes want to be hidden, the Super pairs he constantly wears should be suitable. Or you can stick to classic Wayfarers, if they don’t stock Super in your local optometrists. Junho constantly wears black because of his choice of palate and classic dressing. But if you’re someone who like dressing up in bright palates or maybe you want to draw more attention to your hair or skin color, Ray-Bans do a lot of colored Wayfarers as well! My favourite are the Neon Blue ones and the fire-engine red ones! 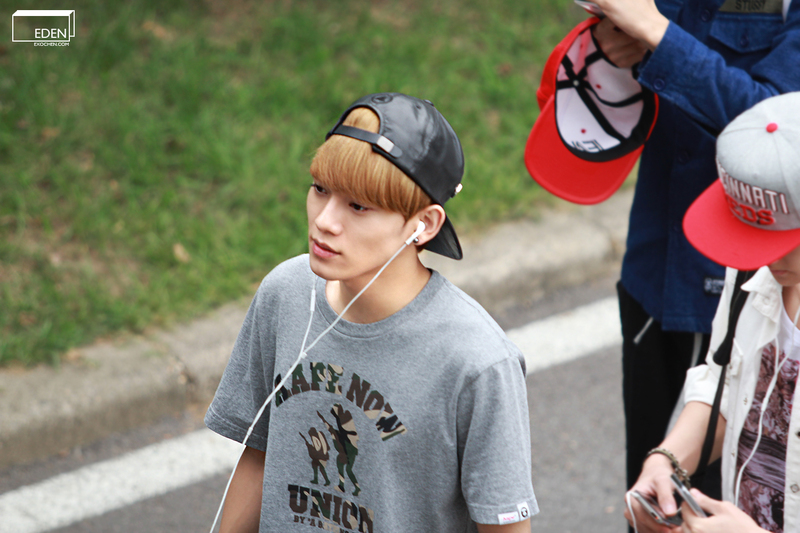 EXO-M’s Chen. 130920 인천공항 Departure to Germany. 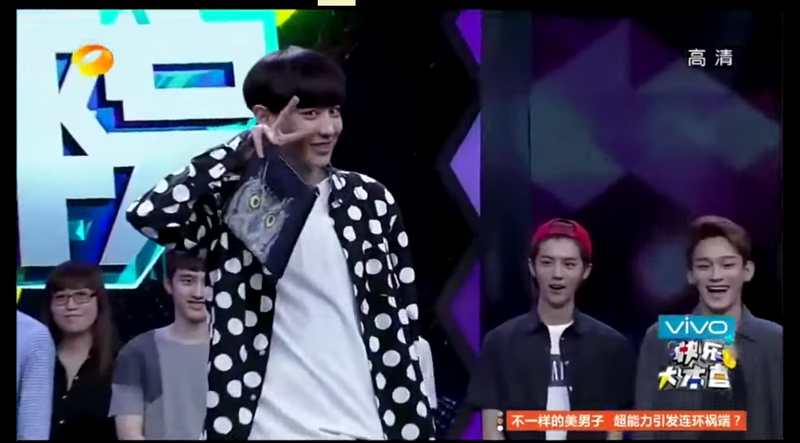 Or you can be playful like our playful Chenchen who’s wearing skater brand SNRD’s sunglasses. A good mix of pink and blues on a cute guy or girl can’t go wrong 😉 Pair it with a bright matching beanie or cap like Chen or else wear it with an artfully messed up bun or ponytail.